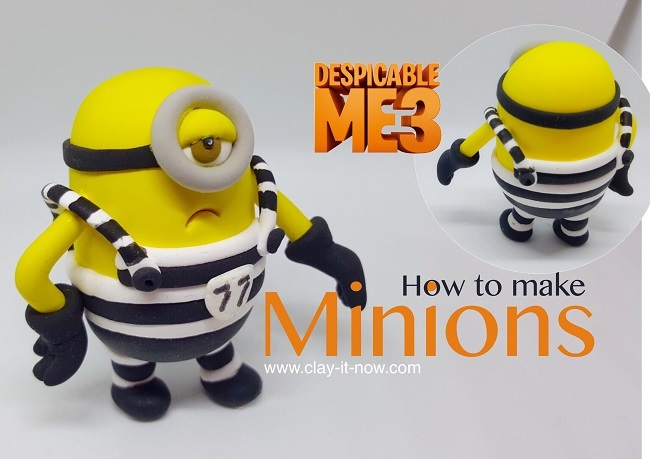 Minions 2015 figurine? Yes! We watched the movie and decided to make Kevin, the minion with a plan to find a boss for his brethren to follow and to save them from depression. Finally, we've decided to make character figurines from movie. If you are following our Facebook page, you'll see that we've not making any cartoon character yet because we are not sure if we are allowed to do that. But hey....we've read somewhere that as long as it is not for mass production and used for hobby (like what we did) it should be okay. Alright! so here we are with our first cartoon character creation. If anyone think it shouldn't be here, please let us know. At the end of this page you'll see the list of tutorial for other characters. 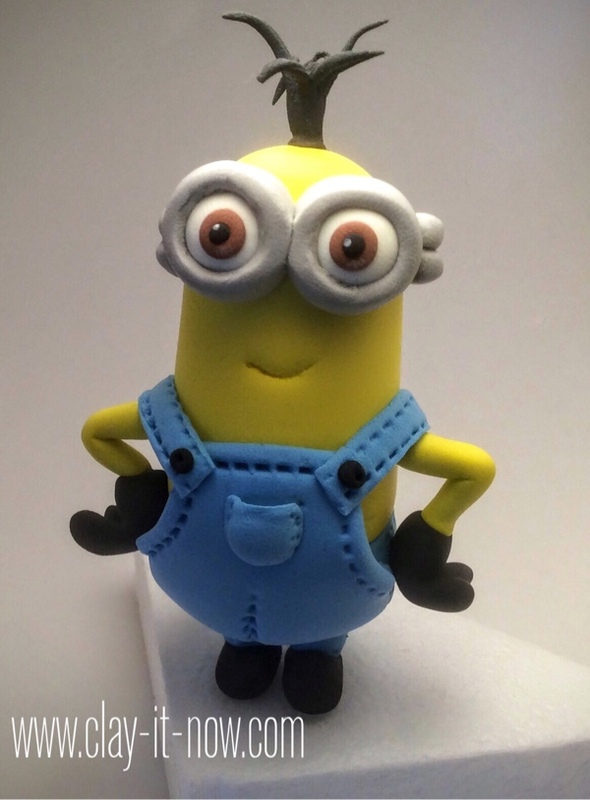 Kevin, minions 2015 figurine is the first cartoon character published in my website so I used this as the first page of the rest. Firstly, choose your clay. Any type of clay that will give you smooth finish is good for the figurine, either oven-baked or air dry clay. Salt dough or no-cook play dough is not a good choice for this. You might want to check out our "what clay to buy" if you don't have clay yet. For tools, you need cutter/ scrapper, rolling pin and smile tool. Knead well your yellow clay and than make a cylinder or thick pipe shape with diameter about 1 inch (2.5 cm) and length of 2 inches (5 cm). Use blue clay to make the pants. Roll the clay to a ball shape and flatten it to about 1 inch in diameter. 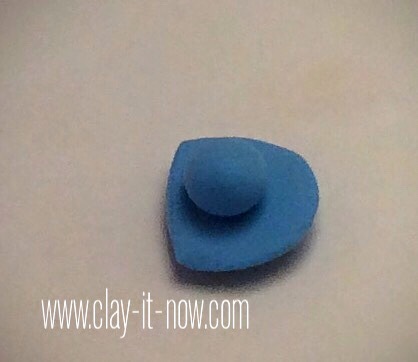 Attach the blue clay to the yellow part and leave it until it's about 50% dry if you use air dry clay or put this in the oven if you use oven-baked clay to make sure it won't be squished when you touch it in the next steps. Make the front panel of the jeans following the shape as shown in the picture and then use your ﻿embosser to make the thread lines. To make the pocket looks full (not flat) paste a small ball shape of clay inside the pocket. Step 5: Attach the front panel of the jeans from the bottom to the body. We need two shoulder straps for Kevin's jeans. Again, use the embosser to make the thread lines. Make the a pair of arm with black glove. Attach both arms to the body and then the shoulder straps. Add small black ball shape for the buttons. Make the legs and shoes. Make the hair from black clay. 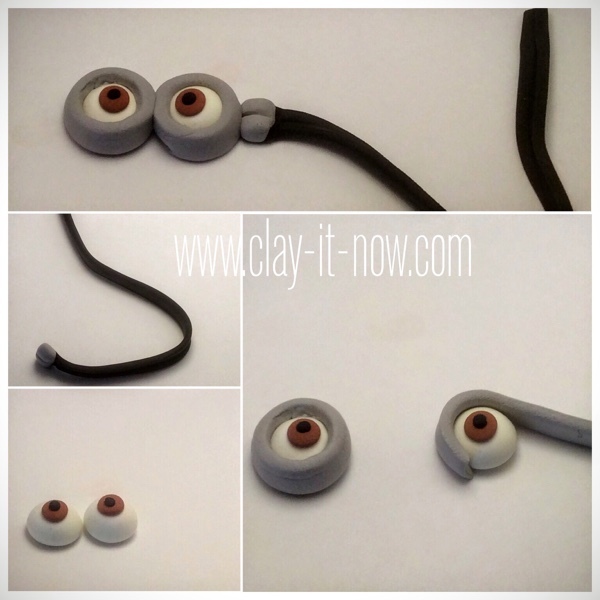 And finally attach the eyes with his goggle. That's it! 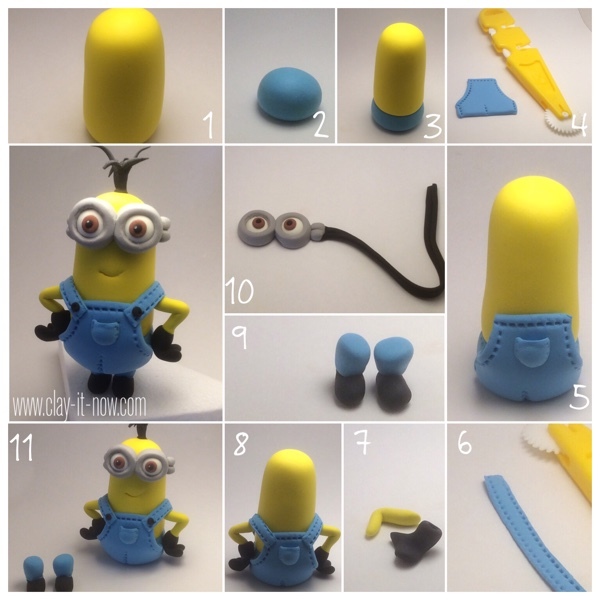 Our Kevin, minions 2015 figurine is done. Please click "LIKE" button to let us know and to encourage us to continue sharing our ideas and tutorials. Let's make Easter theme fairy house with air dry clay. It's fun and enjoyable Easter craft. Good thing is you can recycle the jar and repurpose it. Have fun! Let's make easy bee fairy house with recycled jar which you can repurpose it as table lamp or unique container to keep things. How will you support Clayitnow? Do you like our crafts? 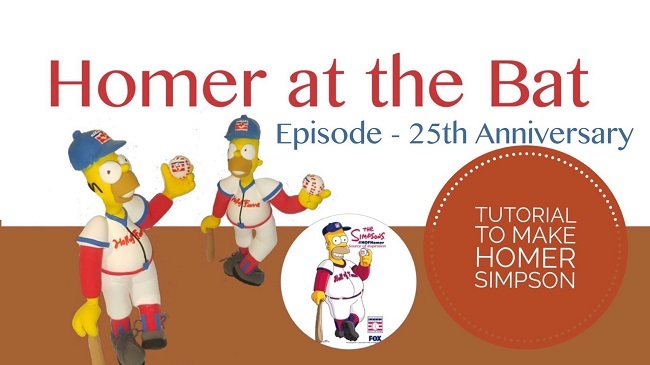 Do you want to receive our latest news and free tutorials in your inbox? If yes, you are welcome to subscribe to our newsletter. I promise to use it only to send you Clay Lover Newsletter.